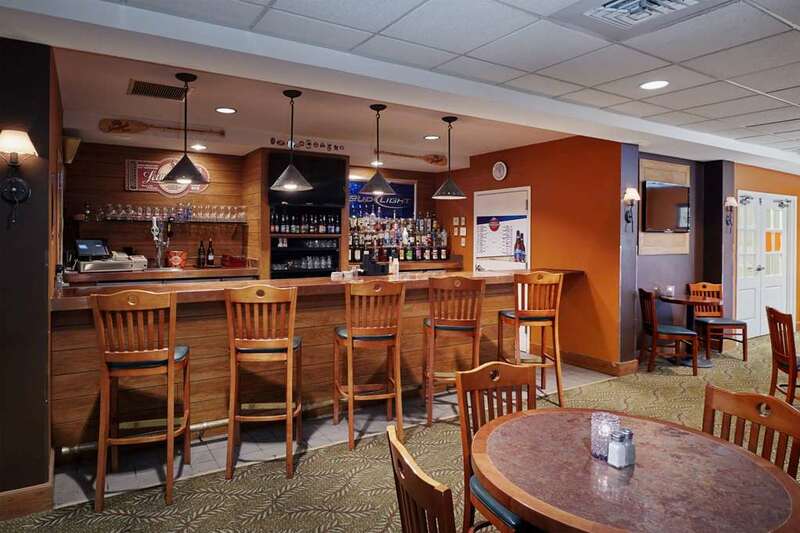 Take the family on a fun-filled trip to Howard Johnson Plaza Hotel Madison off Interstates 39, 90 and 94 just three miles from the Dane County Regional Airport. Alliant Energy Center, Lake Mendota, University of Wisconsin and the Henry Vilas Zoo are nearby. East Town Mall is next to this lodging. Enjoy drinks and a meal onsite at Northwoods Bar. Wake up to a complimentary Rise and Dine hot breakfast, energize in the fitness center or indoor pool, then relax in the hot tub or challenge your family in the game room. Book your next event in the meeting and banquet space, and enjoy the convenience of large-vehicle parking for traveling with large crowds. At the end of an exciting day, refresh in your guest room with complimentary wireless Internet. Microwave and refrigerator available upon request. Smoke-free and handicapped-accessible rooms are available. Pets are welcome at this smoke-free lodging. There is no charge for children 17 and under with an adult.